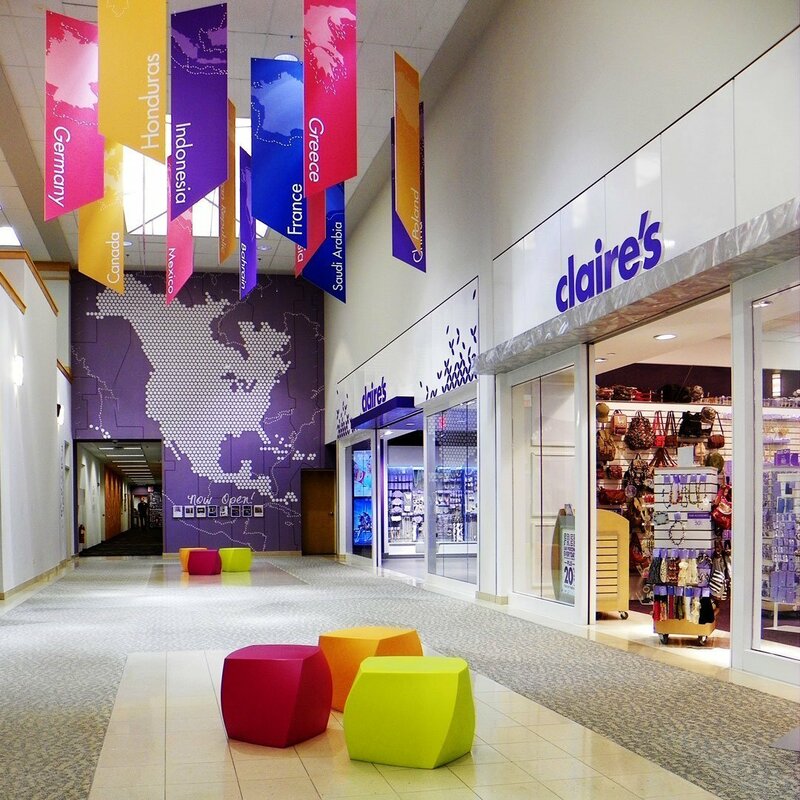 Claire’s Stores Inc. is one of the world’s primary retailers for fashion forward accessories and jewelry at affordable prices for girls and young women. 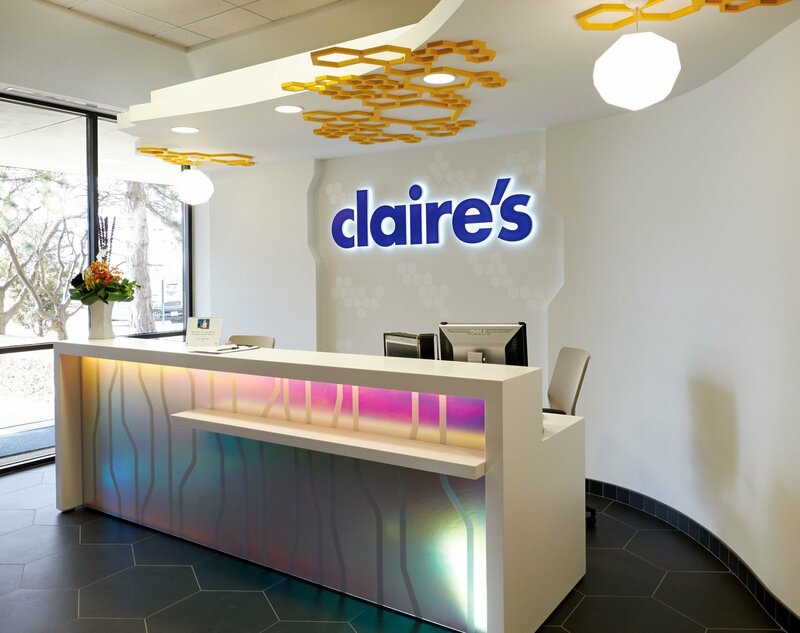 Claire’s products are well known for quality, fashion, and design. 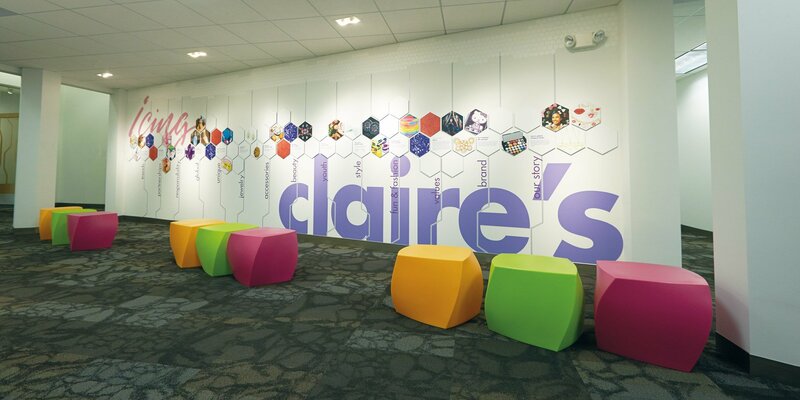 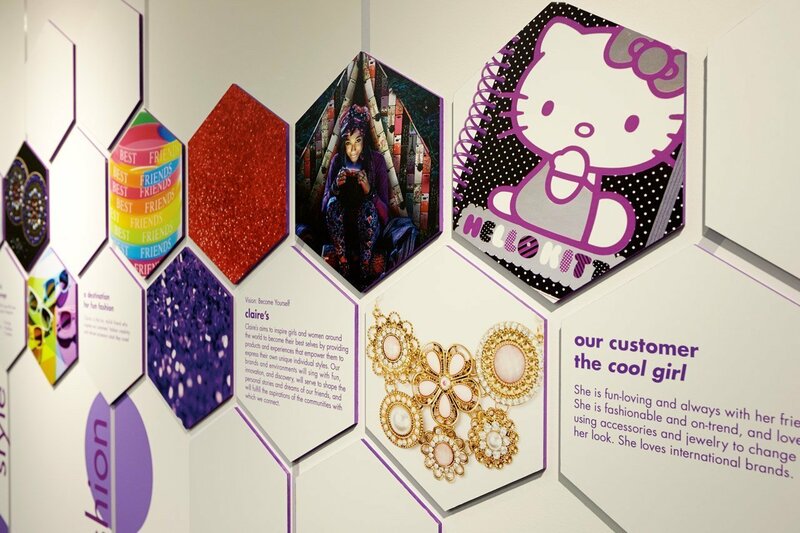 Ideation Studio generated a branded environment for Claire’s corporate headquarters to create a unique and distinctive space that inspires its workers. 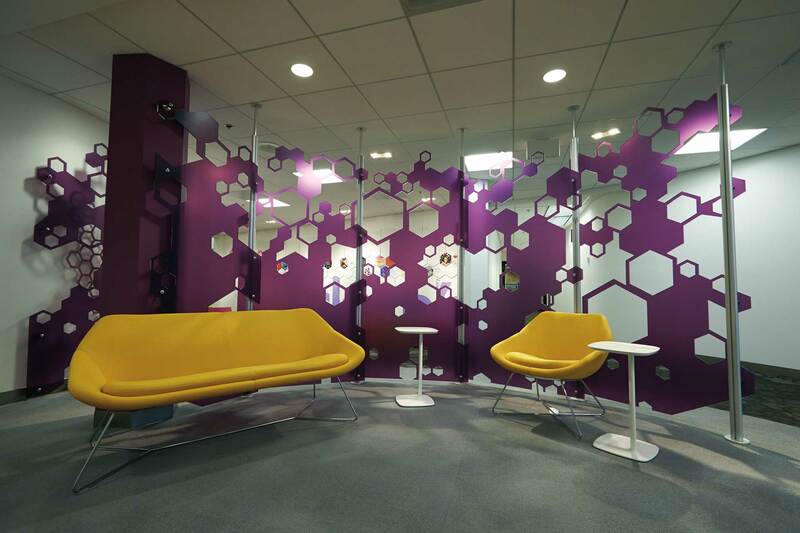 Ideation’s motivation was to transform a basic corporate office setting into a vibrant environment that has a pulse of energy and youthful appearance. 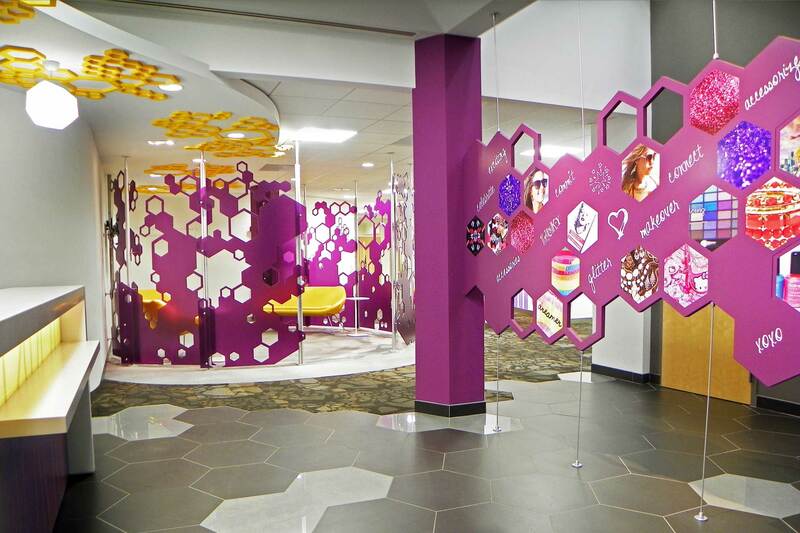 The newly designed facility is clean—yet artful, fun—yet professional, and focused around a signature three-dimensional brand DNA: the honeycomb structure. 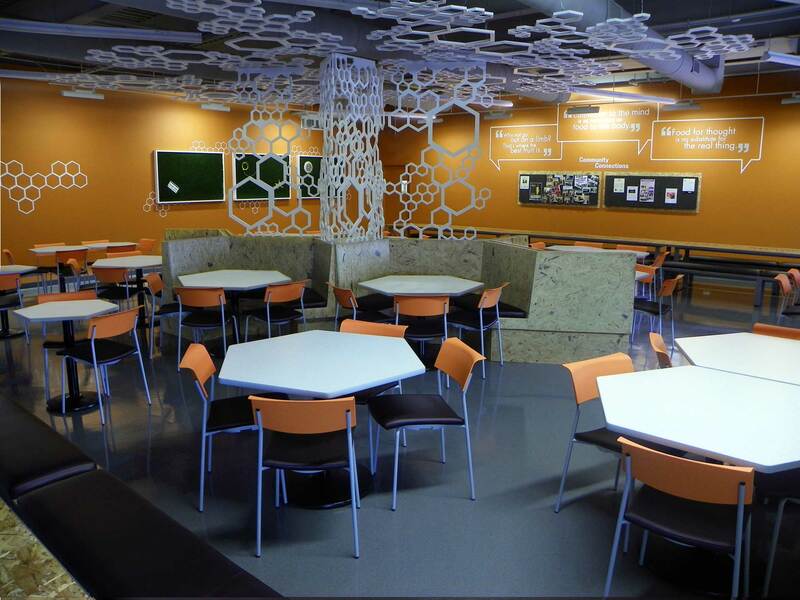 The honeycomb form is woven throughout the space as a primary organizational structure of development taking its cues from nature. 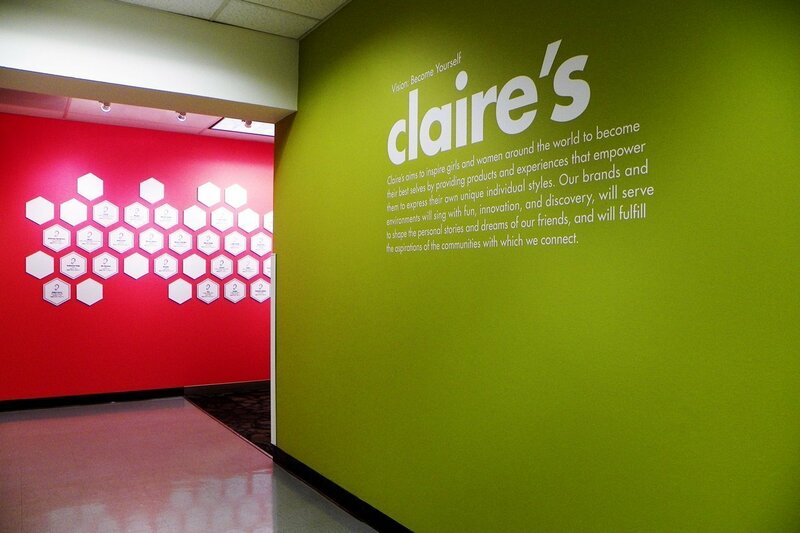 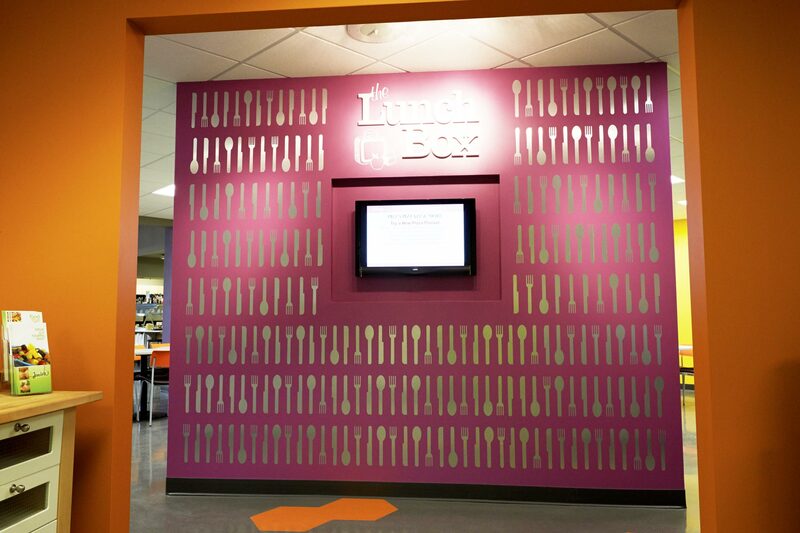 It is engaging and interactive, detailing the layers of the company’s brand. 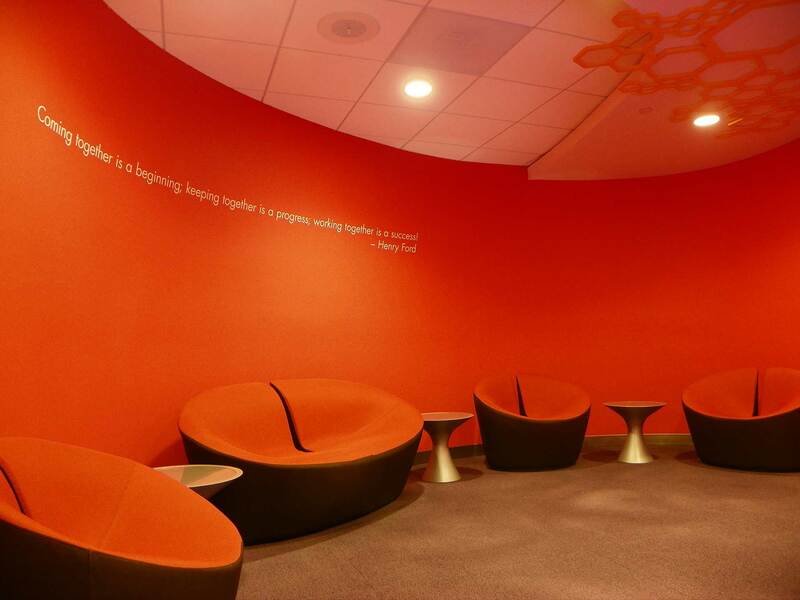 Surprising uses of this motif reflects the innovative nature of the company and stimulates creative thinking.